Papers: In the William L. Case Papers, 1860-1937, 0.2 linear foot and 1 outsize item. Correspondents include James C. McLaughlin. 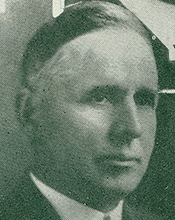 Correspondents include James C. McLaughlin. A finding aid is available in the library. Papers: In the Joseph Engel Papers, 1911-1959, 12 linear feet.